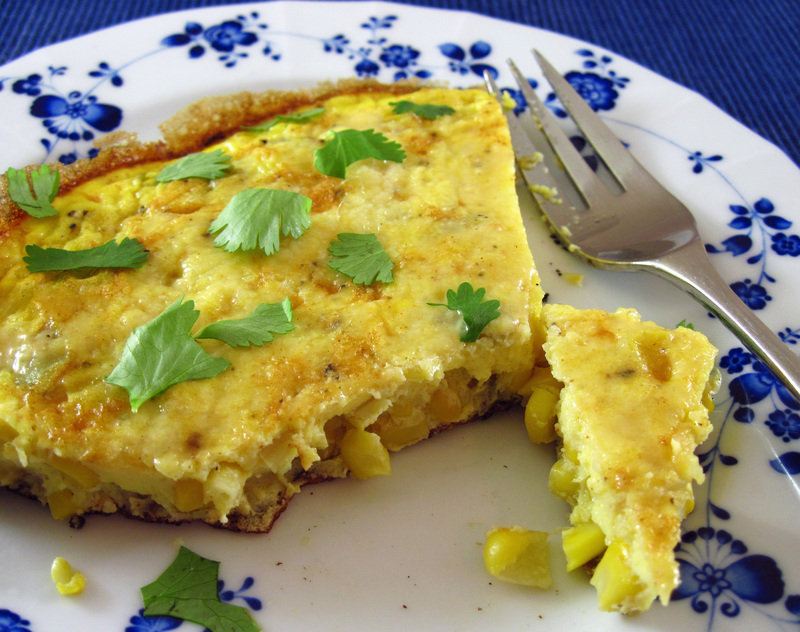 This Corn Frittata with Pecorino-Romano Cheese from Cooking Light tasted even better than I was expecting! I loved the crunch of the corn with the eggs. 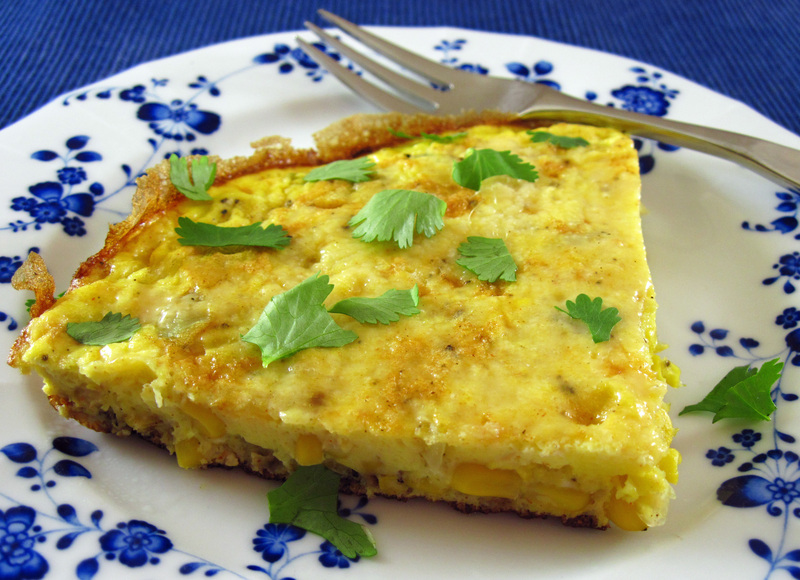 Cooking Light suggests that dill, basil, cilantro, lovage, or Italian parsley would all be great sprinkled over the finished frittata. They used parsley; I chose cilantro. If your markets are bursting with great local corn, by all means, use fresh corn. We’re not quite there yet in the Pacific Northwest, so I used frozen corn kernels which worked just fine. Plus, being able to use frozen corn will make this Corn Frittata with Pecorino-Romano Cheese a great taste of summer in the middle of winter. I used a 10-inch skillet. Next time I will use an 8- or 9-inch skillet so the frittata won’t be quite so flat. 1. Heat a medium oven-proof skillet over medium-high heat. Add the oil and spread it over the bottom of the pan. Add the corn and shallots. Cook, stirring occasionally, for about 3 minutes. Add ¼ teaspoon of salt, ¼ teaspoon of pepper and the smoked paprika. Stir and then remove the corn to a bowl. 2. Beat the remaining ¼ teaspoon salt, ¼ teaspoon pepper, and the milk into the eggs. Add the corn mixture to the eggs and stir well. 3. Preheat the broiler to high with the oven rack about 6 inches below the heating elements. 4. Turn the heat under the skillet to medium and melt the butter, letting it spread over the bottom of the skillet. Add the eggs and cook without stirring for 1 minute. Cover and reduce heat to low and continue to cook for about 4 more minutes until the eggs are just done. 5. Sprinkle with the grated cheese and broil for about 1 minute. 6. Sprinkle with cilantro and, if desired, sprinkle with a bit more smoked paprika. Corn and egg are a wonderful combination, Kathy. This looks scrumptious!